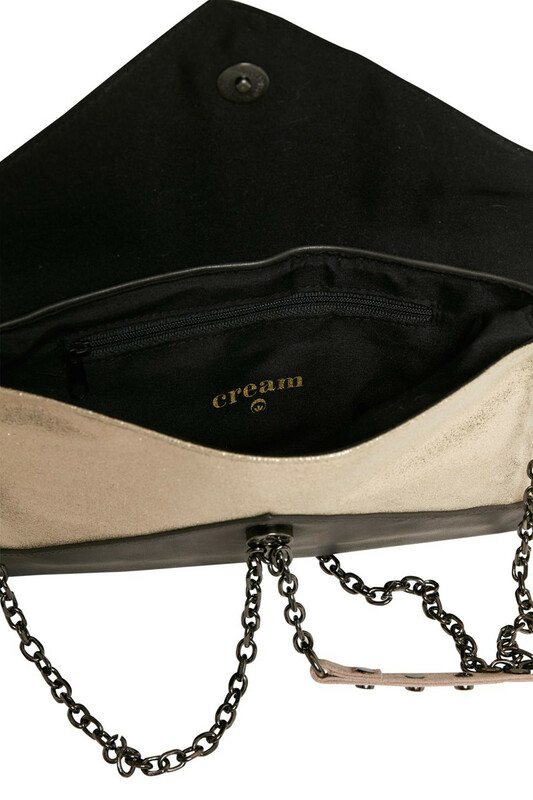 Cream 10401418 Yasmina Bag. 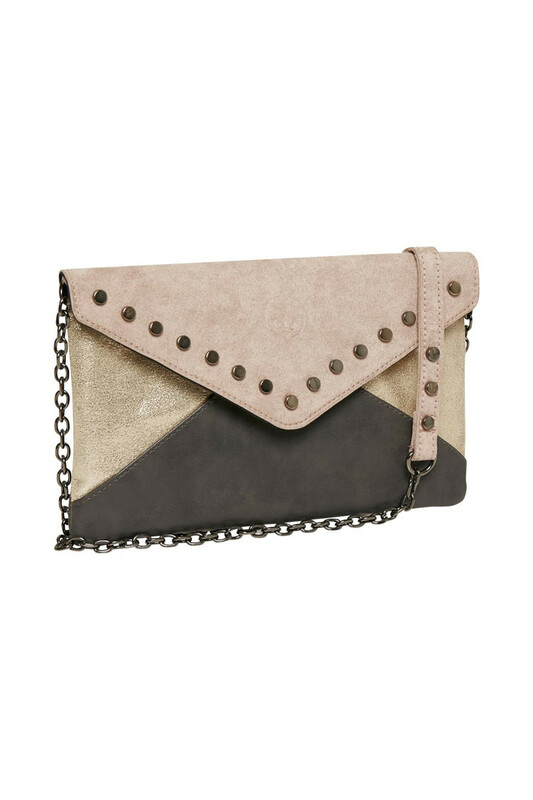 Beautiful PU leather bag with rivets and metal chain. 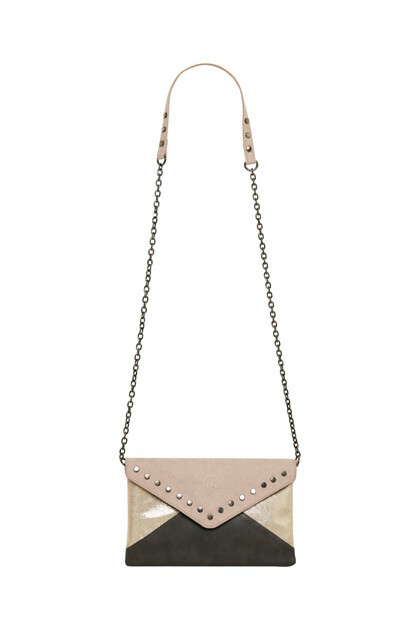 The bag contains one large compartment and a smaller zip-up compartment.